What intrigues me is the degree to which some people seem to derive a sense of worth from whether their preferred type of camera is surging or sagging in sales. 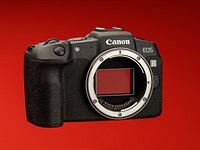 "OMG, more people are buying mirrorless, which I don't like. It must mean that one day, the World Government Camera Gestapo will come to my door and confiscate all my DSLRs and force me to use mirrorless!" or at least give said person some sense that he is on the "losing team" by preferring a dslr. "My choice to prefer mirrorless is validated by the latest sales figures. Hence, I have earned my place in the Vanguard of Photographic Hipsterists by buying into the future before most people recognized it. I am the sort of photographer others admire, (but won't admit to it.)" or at least they have an ointment to apply to any wounds of doubt over their choice. Funny, really, when you actually strip away some of the pretense people use to compare their camera of choice to others. Luckily Olympus seems to think that cameras are 'terribly important' and seems keen to continue making them despite horrendous losses. Their management have even been quoted as saying that cameras never need to make a profit - generally a statement that the management are intent on destroying shareholder value forever leads to a short management life rather than a long product one. It would be nice if they stayed in business though. My Bangkok service centre where they greet me as though I am the only client they have seen all week will probably have to go. It would be nice if they exited P+S cameras before the business exits them and if they could cut their costs slightly faster than their sales are declining it would help.